One of my moles in the upper echelons of the pharmaceutical industry informed me that officials at Eli Lilly are changing some payment policies to hired guns in response to the article, Dr. Drug Rep. The officials involved were apparently discussing the negative publicity generated by the article, and decided to put a more stringent cap on their payments to physicans who hawk their drugs to other doctors. In the past, there was a $100,000/year maximum for regular talks, with an option of tacking on an extra $50,000 for certain "brand-specific" talks, such as talks specifically relating to Zyprexa or Cymbalta. So the maximum was $150,000 per year, and many doctors were happily maxing out at that figure. Reportedly, Lilly is worried that allowing physicians to make "6 figures" for whoring themselves appears unseemly, so as of 2009, the total cap will be slashed to...drum roll please...$75,000/year. That's only 5 figures. The physicians affected are unlikely to be hitting the welfare rolls soon, however, as they might be able to make up this lifestyle-threatening shortfall by engaging in a novel professional activity--treating patients. An Ethical Way to Make $750/hour? Recently, I wrote about the anonymous physician, Hired Gun, M.D., who has made as much as $800,000/year giving talks for drug companies. Some were horrified, others may have been secretly envious. Here's a key question: Is there any way for "unbranded doctors" (to borrow a phrase from the National Physician's Alliance) to make that kind of dough? Funny you should ask. Recently, I received a call from a large law firm specializing in securities litigation cases. The attorney explained that his firm was suing Eli Lilly for defrauding investors of stock value, because they had misled these shareholders about the negative side effects of Zyprexa. If Lilly had been honest, so the suit claims, investors would have unloaded Lilly stocks earlier, thereby avoiding losses as the stock price decreased in reaction to negative media attention, particularly this New York Times article. So where do I come in? The attorney asked me to consult in writing a paper outlining the marketing points used by antipsychotic drug makers. This brief would be used as legal ammunition, in order to prove that Zyprexa's weight gain and hyperglycemia side effects led to loss of market share versus its competitors. If I accepted, I was promised $500-$750/hour. I respectfully declined his offer, because I believed it would create an unacceptable conflict of interest. 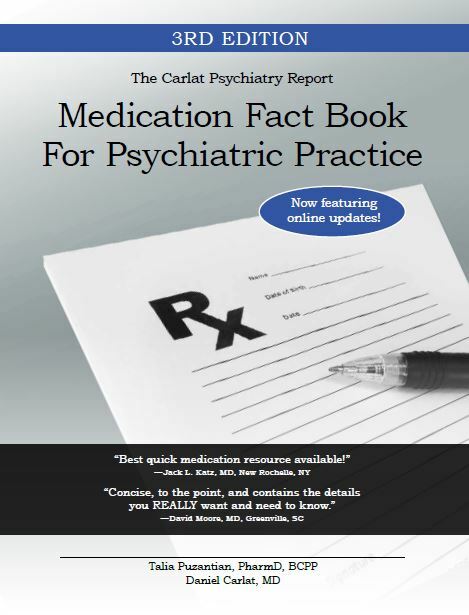 After all, in both this blog and in The Carlat Psychiatry Report, I write about antipsychotics all the time, and I was loathe to open myself up to a criticism like, "You're being paid to say bad things about Zyprexa." While I'm comfortable with my decision, I know that there are several prominent critics of the pharmaceutical industry who accept this type of work, including David Healey and Adriane Fugh-Berman, both of whom I know personally and who are utterly ethical people. Aside from the money, I believe they do this legal work because it is fascinating, and because it contributes to our shared cause of greater transparency in the drug industry. So, is consulting with legal firms an ethical way to make $750/hour? Probably so, but for me, having already had my own first-hand experience with the corrupting influence of money, it's just not worth the risk of it happening again. It's tough being the editor of a major medical journal these days. You are under constant pressure to fill your pages with high quality research, and much of this is funded by drug companies. Company-funded research is fine, and often leads to important drug discoveries. The problem is that the editors in charge of accepting articles often have their own drug industry ties, making it hard to trust the integrity of the journal content. The New England Journal of Medicine has been embroiled in these issues for years. The current editor, Dr. Jeffrey Drazen, initially had ties to about 20 drug companies when he took over from Marcia Angell, but he has since severed those ties, and has become an important watchdog of excessive industry influence in medicine. Unfortunately, our major psychiatric journal, the American Journal of Psychiatry, has decided to take the low road, heading back into the land of conflict of interest. Each January, the journal publishes the financial disclosures of its main editors. You can read the latest disclosures here. The editor in chief, Robert Freedman, M.D., who disclosed no competing interests last year, now discloses that he serves as an "unpaid co-investigator ... for investigations sponsored by pharmaceutical companies that are developing new drugs for patients based on his research findings." I nearly jumped out of my seat when I read that, because this is the same editor who took the unusual step of writing an editorial criticizing an accepted article in December 2006 issue. Freedman critiqued an article by Rosenheck that presented data showing that the old antipsychotic Trilafon was more cost-effective than newer atypicals. At the end of that editorial, Freedman said he had no competing interests. Maybe that's true--perhaps he did not begin his "unpaid" investigations with companies until after he wrote the editorial. However, it seems likely that he knew at that time that he might be entering into those relationships, because he has been conducting the research on antipsychotics for many years. What about the "unpaid" nature of his work with companies? Does this mitigate the nature of his competing interests? Of course not; Freedman co-owns a patent for a promising molecular target of new antipsychotic drugs (see this article for background), and stands to benefit hugely, either financially, or in terms of career advancement, if this target pans out as an effective treatment for schizophrenia. Don't get me wrong: I think it's great that Dr. Freedman is doing important research and I hope it leads to effective new treatments. But is he the right man to be at the helm of the major American psychiatric journal? Certainly not. We need an editor with no competing interests, whether those interests are related to financial incentives or career incentives. "My research concerns the development of new treatments for schizophrenia, for which I am funded by NIH and VA research grants. NIH and the VA funded the development of the molecule that I currently am working on. However, in the course of developing new drugs, I may need to interact with a pharmaceutical company if it has discovered a more promising molecule for the targets that my research group has identified. Although that has not happened, I want our readers to be aware that it could possibly happen. It is a disclosure in advance of any transaction that might subsequently require disclosure, so that readers can assess the issue in prospect." That's a mind-bender! In this month's issue of his journal, he states that he "serves" as an investigator for studies sponsored by drug companies. But in his response to my question, he retracts that disclosure, saying that, in fact, he has not worked with drug companies, and does not now, but that he might in the future. I, for one, am confused. I look forward to what Dr. Freedman has to say in his 2009 disclosures! Recently, I spoke with a physician who speaks for various pharmaceutical companies on a scale that puts my brief 2002 foray to shame. "Hired Gun, M.D." gave over 500 talks in 2006, netting close to $1 million. Many of these talks were teleconferences done from the comfort of his office, which allowed him to average nearly two talks a day. On a more hopeful note, however, Hired Gun (H.G.) has noted a "massive reorganization based on changing appearances" among drug companies. Most dramatically, companies have lowered the maximum salary caps that speakers can receive per year. Wyeth, for example, recently decreased its cap to $25,000 per year; Lilly, not quite so stingy, decreased it to $75,000. This has done damage to H.G. 's bottom line. In 2007, he was able to do only about 200 talks, and he estimates that 2008 will be even more meager--perhaps only 100 talks. "The climate is changing," he said. "We've seen the signs for years, but now it's really happening. Most of us are just rolling with it." Over his career, H.G. estimates that he has delivered 2500 lectures and has made $3 million. What makes him do it? "Different things," he said. "Obviously I like the money, but I also like being in the spotlight, and I enjoy providing education. I think you'll find a variety of motivations in most speakers you'd talk to." While H.G. doesn't deny a marketing component to some of his talks, he feels he does a good job being accurate and unbiased. But some of his colleagues are less scrupulous. He singled out one extremely well-known physician-speaker as being "incredibly biased, pro-[company X] and anti-[company Y]. He's not one of the good guys." I've encouraged H.G. to go public. I know several senate and congressional offices that would love to hear his testimony. But he's reticent, for obvious reasons. In the meantime, I hope to post his observations from time to time. Top Harvard Neurologist: Macy Report is a "Stack of Cards"
Shortly after the Macy Foundation's report was released, I found myself in the Minot Room of Harvard Medical School's Countway Library, listening to one of the world's top neurologists trashing that report. It wasn't exactly what I was expecting. So you really have to hand it to Martin Samuels, the Neurologist-in-Chief at Brigham and Women's Hospital, for having the guts to defend industry sponsorship of CME. Although, in reality, Samuels was really defending only one particular MECC, Pri-med, for whom he directs the neurology CME course. He decried most other MECCs, calling for the abolition of industry-sponsored satellite symposia at major medical meetings. At any rate, his most interesting comments related to the Macy Foundation report. Ironically, Samuels had been recruited to Pri-med by none other than Suzanne Fletcher, who chaired the Macy conference. And according to Samuels, one of the members of the conference's organizing committee was Denise Basow, a top executive of UpToDate. UpToDate is a multi-million dollar medical education company, but one that is not funded by industry. 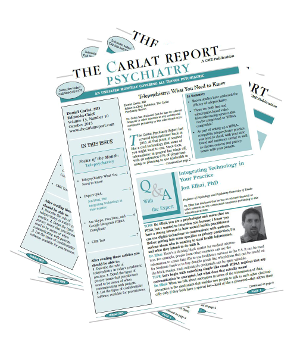 Instead, like my own Carlat Psychiatry Report, it is funded by subscribers. So what? Samuels feels that the Macy Report's conclusions are neatly in line with the business goals of UpToDate--more emphasis on online practiced-based learning, and no further commercial sponsorship of medical education. "This is an overt conflict of interest, and it should have been declared," said Samuels. "I find this report to be self-righteous and self-serving. It is so hypocritical that it will fall like a stack of cards." In fact, Basow's affiliation was printed in the report, but I do agree that her involvement constituted a conflict of interest that should have been highlighted. But this doesn't besmirch the essence of the report--namely, that continuing medical education in the U.S. is critically ill, and needs emergency treatment. The clock is ticking for industry-funded medical education. The latest body blow comes in the form of a report on medical education issued by the influential Josiah Macy, Jr. Foundation. Read it here. The report was the product of a conference attended by many of the brightest minds in medicine, including Catherine DeAngelis, editor-in-chief of JAMA, Harvey Fineberg, president of the Institute of Medicine, and David Leach, recent executive director of the Accreditation Council for Graduate Medical Education. The Macy Foundation couldn't be clearer: commercial support of CME has got to go. "Participants warned that the health professions, especially medicine, threaten the ethical underpinnings of professionalism by participating in a multi-billion dollar CE enterprise so heavily financed by commercial interests. This arrangement, which evolved over the years, distorts continuing education. It places physicians and nurses who teach CE activities in the untenable position of being paid, directly or indirectly, by the manufacturers of health care products about which they teach. At the same time, commercial support of CE places learners in an obligatory position because they are often given free meals and small gifts. Independent judgment of how best to care for patients is compromised. Bias, either by appearance or reality, has become woven into the very fabric of continuing education. The professions, themselves, must right this wrong. In a free-market system, commercial entities, such as drug and device manufacturers, have a clear responsibility to shareholders to gain market advantage and generate a profit, while health professionals have a moral responsibility to provide safe, high quality care for their patients, based on valid scientific findings. The two responsibilities are fundamentally incompatible. Even if bias could be avoided, the potential, and the perception, are ever-present. Companies with billions of dollars at stake cannot be expected to be neutral or objective when assessing the benefits, harms and cost-effectiveness of their products, for they are in the legitimate business of gaining market advantage and want clinicians to use and prescribe their products. Yet, an objective and neutral assessment of clinical management options is precisely what is needed in continuing education. Participants emphasized that, regardless of the financial impact on for profit companies, patient care must be based on scientific evidence and commercial interests should not determine the topics or content of CE. Because of these underlying ethical issues, participants concluded that the commercial entities that manufacture and sell health care products should not provide financial support for the continuing education of health professionals (emphasis added)." It's not easy to define happiness, but someone's got to do it. Over at the Furious Seasons blog, Philip Dawdy does a magnificent job reviewing the debate over the nature of happiness taking place among psychiatrists in this month's issue of the American Journal of Psychiatry. In the pathology-focused world of psychiatry, happiness is the absence of depression. But how absent should it be? Should we settle for "response," which is defined as at least a 50% improvement, or should we insist on "remission," generally defined as a score of 7 or less on the widely used Hamilton Depression Scale? Ever since Wyeth and Micheal Thase released their study showing (purportedly) that Effexor leads to a higher remission rate than SSRIs, the field has decided that remission is the way to go. And this is the outcome variable that was chosen for NIMH's STAR-D study, which showed that it's very, very hard to bring patients to remission, no matter how many meds you throw at them. As eloquently argued by Dawdy and in some of the letters in the Journal, remission is an unrealistic goal for most patients, and stacking one medication on top of another may simply cause a succession of side effects. 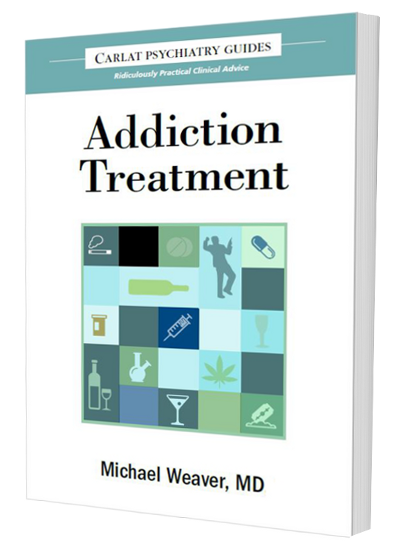 Leaving well enough alone is sometimes the best course of action, and dropping the obsession with finding the very best medication allows a focus on psychotherapy, a lost art form in this era of 15-minute psychiatrists. If you didn't catch last night's show on PBS's Frontline, you can watch it in its entirety here. I spent two hours being interviewed in a very hot hotel room at the Charles Hotel in Cambridge (back in August), and I got about 20 seconds of snippet-fame on the show. Not much, but I was glad to have had the chance to participate in a small way. --Overall, great show: it was intelligent, balanced, and didn't oversimplify. --Child psychiatrists came across rather poorly. One particularly cringe-worthy scene involved Dr. Bacon listening to the parent's worries about medications after Rebecca Riley's death, and then, without skipping a beat, offering to add Xanax and upping the dose of Trileptal. Poor form, expecially after he was quoted saying that prescribing drugs was an exercise in "experimenting." --Nonetheless, Kiki Chang was an excellent stand-in for Dr. Biederman. He came across as extremely intelligent, progressive, and concerned. But does he really think that he can diagnose future bipolar disorder by getting a teenager to say that his thoughts race? --David Shaffer, chief of child psychiatry at Columbia, spoke wisely about the over-reliance on medication in children. His wisdom, combined with his British accent, made it pretty much impossible not to believe everything he had to say. These days, when you think politics, you are probably picturing the likes of Obama, Clinton, or Huckabee, but at least for the next few weeks, think Donna Norris. Yes, it's time for all good psychiatrists to open that official APA ballot and check off their choices for who will make crucial decisions about the American mind over the next couple of years (the actual term is one year, but there is a preparatory "president-elect" year). Rarely have the distinctions between the candidates been more stark. In one corner, we have Donna Norris, M.D., a child and adolescent psychiatrist who has been active in APA governance for 25 years. She is currently the secretary-treasurer of the APA, chair of the Ethics Appeals Board, and a past speaker of the APA Assembly. More to the point, she is concerned about the pharmaceutical industry's influence on our profession. She chairs a special task force in charge of screening all potential members of the DSM-5 committee for commercial conflicts of interest. On a more personal note, she receives no financial compensation from drug companies, depending on her private practice for all of her income. By contrast, Alan Schatzberg, M.D., has no APA governance experience, although he once served as vice president of the Northern California Psychiatric Society. Even more troubling, he was involved in what many consider an ethical breach in 2002, when he wrote an article endorsing mifepristone for psychotic depression without disclosing the full extent of his financial involvement in Corcept, the company that has tried to develop the drug for this purpose. At that time he owned 3 million shares; the current value of these shares is about $12 million. Currently, Schatzberg is the editor-in-chief of a journal entitled the "International Journal of Sleep and Wakefulness" which is funded wholly by Cephalon, a pharmaceutical company that sells Provigil. The purpose of this pseudo-journal appears to be to convince readers that sleepiness is a huge public health problem and that Provigil is the mainstay of treatment. I sent both Dr. Schatzberg and Dr. Norris a series of questions exploring their views on conflict of interest, and Dr. Schatzberg ignored me (Dr. Norris responded promptly). Apologies for my hiatus in postings. I've been in California researching an article on the limits of functional neuroimaging for Wired Magazine. I interviewed Daniel Amen of the Amen Clinics, Joel Huizenga of No Lie MRI, Joshua Freedman of FKF, and Robert Rubin, chief of the Wadsworth VA Psych Department. Interesting trip--next up: interviews with Ryuta Kawashima, the inspiration for Nintendo's Brain Age game, and Roy Johns, a leader in the use of EEG brain mapping. Regarding what this week's British Medical Journal is calling my "March of Shame," so far I've given grand rounds at Lenox Hill Hospital in Manhattan (Dec. 12) and a talk for Tufts' Progressive Student Association (Dec 10). Okay, two talks in a month is not exactly sprinting out of the gates, but I have various other talks scheduled, including one for the Vermont Psychiatric Association and another for Eastern Virginia Medical School. I'll keep you updated. My goal is to do thirty free counterdetailing talks in 2008. Here are the specifics. I charge no honorarium, but for talks that involve extensive travel (defined as requiring either a plane flight or an overnight stay) I am requesting reimbursement for these travel expenses. Accuse me of not being a purist, but I'm not interested in becoming a pauper over the course of the year. I expect most of my talks will be at local PCP offices, and this next week I will be calling the same doctors I visited in 2002 in order to offer them my counterdetailing services.